UNRWA, the United Nations Relief and Works Agency for Palestinian Refugees in the Near East, has been given an impossible task. Originally a temporary agency to assist and protect the 750,000 Palestinian refugees created by the war in 1948 with Israel, the refugee population has grown to over five million in Syria, Lebanon, Jordan, West Bank, and Gaza. Despite the catastrophic conditions in Gaza, UNRWA this week is actually focused on the Palestine refugee camp of Yarmouk in Damascus, Syria, where more war and dispossession and humanitarian crises face an already beleaguered population. According to the report, movement and access restrictions continued to fragment the occupied territory, undermining Palestinians’ livelihoods and impeding their access to basic services. 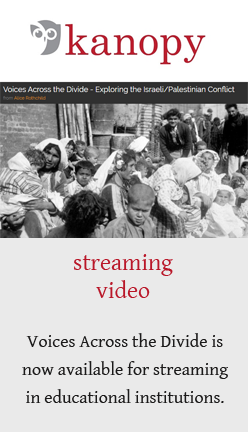 “Continued occupation undermines the ability of Palestinians to live normal lives. Were these factors removed and related policies changed, international humanitarian assistance would not be necessary here,” The Humanitarian Coordinator concluded. UNRWA continued its exceptional food distribution during the reporting week, with a total of 21,970 families having already received food parcels of flour, oil and rice…The distribution to approximately 35,000 families (bolding is mine) aims at ensuring sufficient access to food for refugees in Gaza; it also serves to inject essential commodities into the local market. The food parcels are provided in quantities according to family size…The distribution comes in addition to the regular food assistance provided to approximately 868,000 refugees and the daily rations that UNRWA is providing to more than 7,000 internally displaced persons sheltering in 12 UNRWA Collective Centres across Gaza. During the reporting week, US $667,199 in funding from the Japanese Government was paid to 199 affected families across the Gaza Strip through local banks. In January 2015, UNRWA was forced to suspend its cash assistance programme supporting repairs and providing rental subsidies to Palestine refugee families in Gaza. 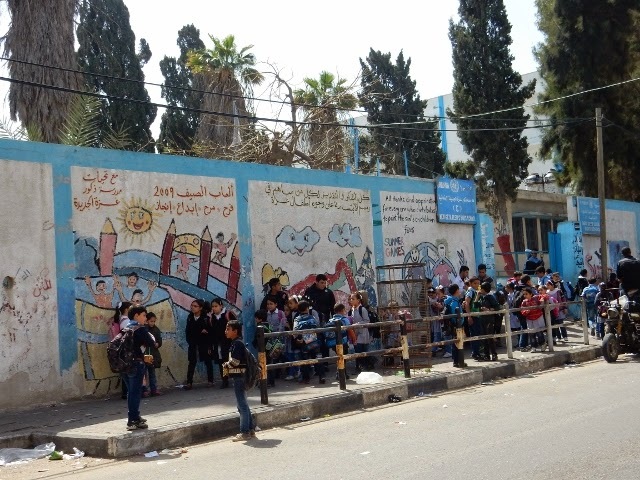 This week’s payments do not change the fact that only US$ 175 million has been pledged in support of UNRWA’s emergency shelter programme, for which a total of US$ 720 million is required. This leaves a current shortfall of US$ 545 million. To date, some 60,000 Palestine refugee families have been able to complete the repair of their damaged homes with assistance provided through UNRWA. A further 10,760 families whose homes were totally or severely destroyed have received one TSCA payment typically covering four months subsidy; over 1,300 displaced refugee families have yet to receive even one installment. Of the families receiving TSCA, over 7,600 families also benefited from the $500 reintegration grant. A further 1,270 families whose homes incurred major damage benefited from the reintegration grant. However, more than seven months after the announcement of a ceasefire, not a single totally destroyed home has been rebuilt in Gaza. The GRM, a temporary agreement between the Governments of Israel and Palestine concluded in September 2014, currently allows the entry of building materials for repair but the process for rebuilding totally destroyed homes remains yet to be agreed upon. Whereas import of construction material is banned by the Government of Israel but possible for UN-led projects following a lengthy approval procedure since 2010, the UNRWA shelter self-help programme is completely reliant on the GRM. …to date 9,061 Palestine refugee houses have been considered totally destroyed and 5,066 have suffered severe, 4,085 major and 120,333 minor damages. Also, to date, the Agency has only received funding to reconstruct 200 of the 9,061 houses totally destroyed. Youth female unemployment rates amongst Palestine refugee women in the Gaza Strip skyrocketed to 83.3 per cent in 2014, according to recent statistics from the Palestinian Central Bureau of Statistics. Across the board unemployment levels in Gaza sit at 43.9 per cent, the highest rate on record. UNRWA continues to support and provide for the basic needs of 7,072 Internally Displaced Persons (IDPs) living in 12 Agency-run Collective Centres across the Gaza Strip. So, the largely invisible to the western world humanitarian crisis is mind boggling, especially if you consider the budget of the Pentagon or the amount of money Americans spend on health care for their dogs, but we are going to focus on health care in Gaza. Dr. Ibrahim Mohd el Borsh graduated from Tripoli, has a Masters in Public Health from the Jerusalem University branch in Gaza. 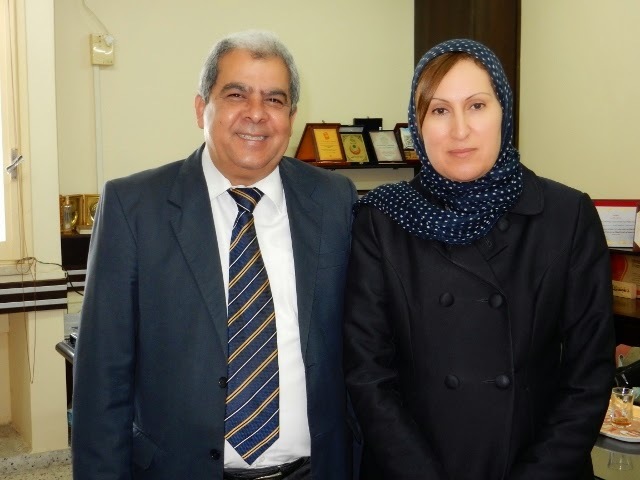 He and a female physician, Ghada al Jadba, are briefing us; UNRWA focuses on the immediate needs of the refugees, about 70% of the Gaza population, as well as on human development and protection of the rights of refugees. 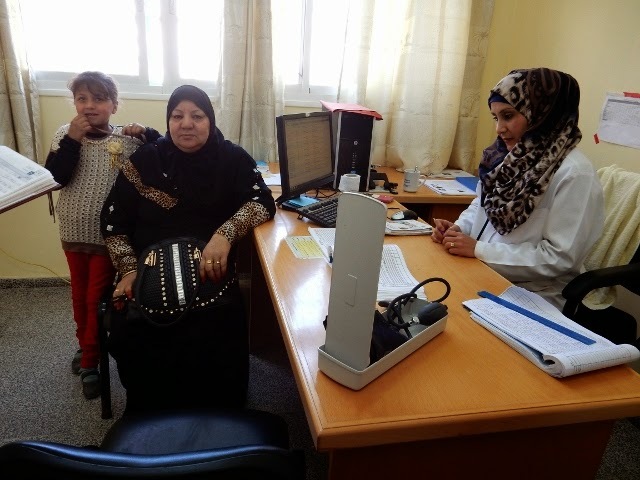 The UNRWA health program provides primary care to 1.2 million refugees here. Dr. Ibrahim’s colleague is a refugee but she lives in Gaza City, 60% of Gazan refugees live outside the camp, ie., people do leave when they can economically accomplish the cost of housing, etc. 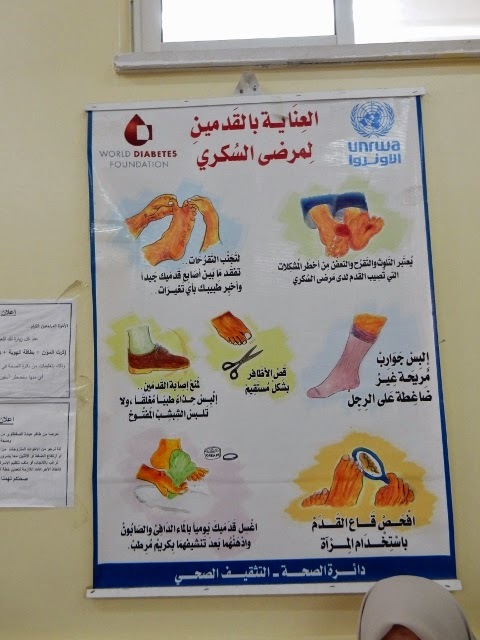 UNRWA has 21 health centers, “the main component is mostly maternal and child, then chronic diseases like hypertension, heart disease and diabetes. 25% of the population is women in reproductive age; also [because of] political challenges, instability, fertility rate high (4.3 per woman in reproductive age), this is a very high maternal morbidity and mortality. Living in this difficult situation makes those women vulnerable, the situation affects them more, with poverty, low social status; they need more care. UNRWA provides ante and postnatal care, physical exams, labs, ultrasound. Midwives, medical officers, and obstetrician-gynecologists rotate to the health center. The women also receive postnatal care, with a visit one week postpartum. Women are discharged a few hours after delivery,” [Heads up: discharged to what? A shelter? Partially destroyed home? Shack with no water and erratic electricity and a crying newborn?] Another reality check: on the family health team: the physician sees 80 to 90 patients per day, the nurse 40 per day, the midwife 20-30 per day. (Just do the math for length of appointment and remember that sessions usually end between 2 and 3:00 pm). Anemia is a major problem (probably a reflection of malnutrition and lack of adequate supplementation combined with frequent pregnancies). Family planning is “a priority, not that successful, despite measures. IUDs are preferred, [along with] pills, condoms, and [depo-provera] injections.” It is hard to change cultural expectations regarding family size and the desirability of having many children when people have little else on which to rely and children are expected and celebrated. Pediatric care is critical as “45% of the population is under 18. This is a fragile community with high dependency needs, the siege affects them. Collective punishment is the most massive child abuse in the world due to siege, crowding, infectious diseases.” Fortunately there is “100% vaccination coverage, but people feel insecure. Vaccines protect their children, but sometimes there is a delay in procurement, mothers come daily asking for vaccines. Even during the war they came for vaccines, H. flu, etc, prevention for TB, MMR injections.” There are breast feeding counselors, and most women nurse exclusively for six months, this is encouraged by the society. “Infant mortality per 1000 live births in Gaza in 1960 was 160 and it has now dropped to 16.5.” The US stands at 6, Israel at 4, while Afghanistan is 122, Egypt 24, Syria, (probably before the civil war) 15, and the West Bank 14.5 to give you a sense of the distribution by country and level of health care. http://www.indexmundi.com/g/r.aspx?v=29. UNRWA does growth and development monitoring and finds 10% of children have birth problems, iron deficiency is present in 50% of children under three. To add to everyone’s troubles, poverty and unemployment is also high, university graduates frequently cannot find employment. Attention is paid to psychological and life cycle support, but “psychosocial increased so much, increased domestic violence, gender based violence in each health center, main category is women and children. [We see] multiple symptoms that are not organic diseases, are depression, we work with GCMHP for more challenging cases. There are big challenges. The environment is poor, sanitation, all this affects health, endemic parasites, enteric fever, another burden, life expectancy is up to 73,” which can create new age challenges with few resources at the end of life. Just for starters, think accessibility and mobility. UNRWA realized that with scanty resources, it is critical to be more efficient. “We have adopted in service delivery, went from fragmented to family teams, Dr Akhiro Seita, [Director of UNRWA health programs] developed this…[with the] family team approach, we have health teams: a medical officer, a practical nurse, a midwife, [each team] meets the health needs of a specific number of families. We are now more efficient, have more relationships, [better] use of resources, and more effective and higher quality. The doctor knows the family well; there is high staff satisfaction and community satisfaction. [for official UNRWA statement see: http://www.unrwa.org/newsroom/press-releases/new-family-health-team-reforms-improving-un-health-services-across-middle] Most of the centers, (17), have electronic medical record, knows everything by one click, so this helps family team, the modernization of health care. Ghada continues, “The children have had three wars and continuous instability. The first of the war, my children were afraid of every sound, by the end they were no problem, fed up. Nothing we can do, waiting, expecting everything, praying all the time, afraid when parents left for work. The most difficult in life this war, all these innocent people killed without any reason. Take care of each other, it’s a joke, frustration, depression, not a big difference between us and the other people. You don’t know if you will wake up the next day or lose your family members. I went to shelters and saw people who lost their family members. I met eight year old child and he is sole survivor from Shejaria, [which was completely dessimated]. He was smiling, too shocked, he was injured. We have a lot of them, 1,500 orphans after this war. They need a lot of care. We continue to a field office, passing tuk tuks loaded with chairs, merchandise of all sorts, street vendors with hanging columns of yellow bananas and pyramids of oranges and potatoes, pass the Islamic University, the newest medical school in Gaza after al Azhar University. Dr. Ibrahim recounts a funny story that when he was once in Japan, (learning about family centered care) he was a minute late and his Japanese colleagues called the police. They are clearly unfamiliar with the concept of Palestinian time. We see patient education materials particularly focused on mother/baby care and diabetic foot care. Most of the cars we see came through the tunnels at the Egyptian border. A pack of Marlboros used to cost 9 NIS but the price went up to 25 once the tunnels were destroyed. It may have been a black market economy, but it is clearly cheaper than no economy. Dr Ibraham reveals that his own house was partially destroyed. Three meters away, a neighbors house was bombed and he suffered from collateral damage. He lived for 50 days in his mother-in-law’s house. The thirteen story Albasha Towers was bombed leaving 70 families homeless, we pass a massive crater, the site of the towers. In Gaza people suffer from Hamas or Fatah. “We don’t want either. We need civilized people. We cannot fight the Israelis. Peace is the solution. Yesterday in Rafah there was a demonstration focusing on the suffering of the civilians due to lack of electricity. Hamas shut down the demonstration.” The doctor reports that he has four hours of electricity per day and also uses a generator. As I have mentioned, these generators use fuel which is very costly and are loud and polluting. As we drive I notice this kind of reckless apathy, pedestrians walk right up to moving cars, people seem totally fearless, cars challenge each other inches apart, traffic rules are kind of optional, I wonder if there comes a point where there is no fear left and death seems fatalistically just one smart bomb or one screech of the breaks away. I repeatedly hear some variant of the feeling that death may be fast or slow, but either way, in Gaza it is coming soon.